^ "Our People and History". 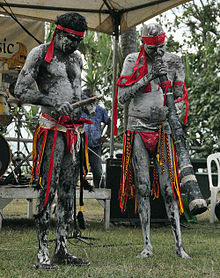 Larrakia Nation Aboriginal Corporation. Archived from the original on 2009-03-11. ^ "Palmerston Growth". Palmerston City Council. Archived from the original on 2010-08-13. 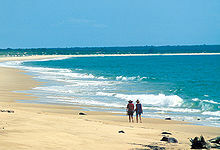 ^ "Kakadu National Park". parksaustralia.gov.au. Retrieved 2017-12-19. ^ Government, Northern Territory (2017-09-27). "Litchfield National Park". nt.gov.au. Retrieved 2017-12-19. ^ "Markets". Darwin City Council. Archived from the original on 2009-10-24. ^ "Darwin Convention Centre". Archived from the original on 2008-08-02. 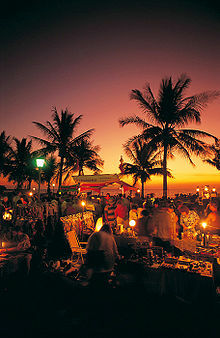 ^ "Museum and Art Gallery of the Northern Territory". Archived from the original on 2011-11-23. ^ "RDH – Recruitment". Royal Darwin Hospital. 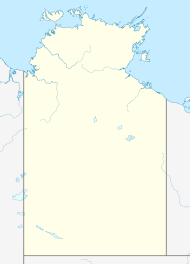 Northern Territory Government. Archived from the original on 2009-04-27. ^ "Australian Bus Fleet Lists - Northern Territory Operator Fleet Lists". fleetlists.busaustralia.com. Retrieved 2017-02-01. ^ Government, Northern Territory (2017-01-30). 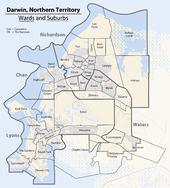 "Public bus timetables and maps: Darwin". nt.gov.au. Retrieved 2017-02-01. This page was last edited on 7 April 2019, at 08:11 (UTC).